Wasatch Photonics’ low roll-off, high speed Cobra 1050 allows you to image diverse structures in scattering media – penetrating deeper than 800 nm, and at better resolution than 1300 nm. From cornea to choroid, we’ll help you reveal the eye’s mysteries. We’ve reinvigorated this versatile imaging wavelength, adapting our proprietary high throughput design to the most cost-effective, high-performance camera available to deliver detailed images at high retinal scan speeds. Ideal for choroidal imaging, the Cobra 1050 also provides sufficient resolution to study the anterior segment and other structures with a single system. It also offers the speed and phase stability needed to image vascularization of the choroid for research or guided photocoagulation therapy, and the flexibility to reduce scan speed for optimum sensitivity. 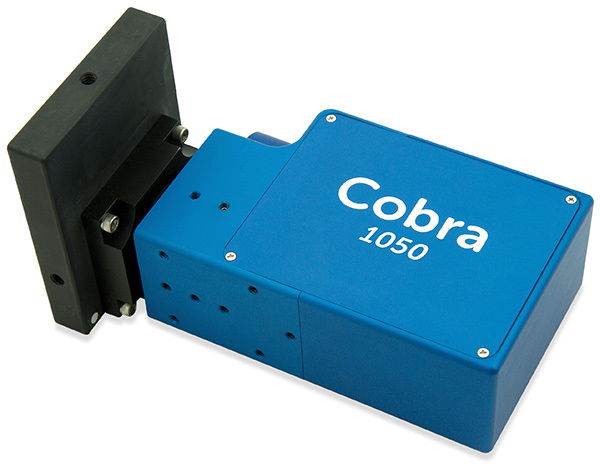 Cobra 800 near infrared spectrometers can be used for OCT imaging in the 1000-1110 nm range in research, industrial and OEM solutions. Let our expert team put together a configuration that is right for your application. Contact info@wasatchphotonics.com and let us help you to improve your image. Cobra 1050 part numbers are of the format C1050-[CWL]/[BW]-[kHz]-[camera][pixels], where the Sensors Unlimited GL2048 camera is represented by “SG”, and 2K denotes 2048 pixels.